From the moment the heavens were born, was there any Phoenix as unlucky as her? From the start, she was a stranded Phoenix that was bullied by chickens! Luckily, she met the elegant and distinguished Phoenix King, Zhao Hua Jun. From then on, she entered the realm of the gods and enjoyed the good life where she only needed to open her mouth to be fed. 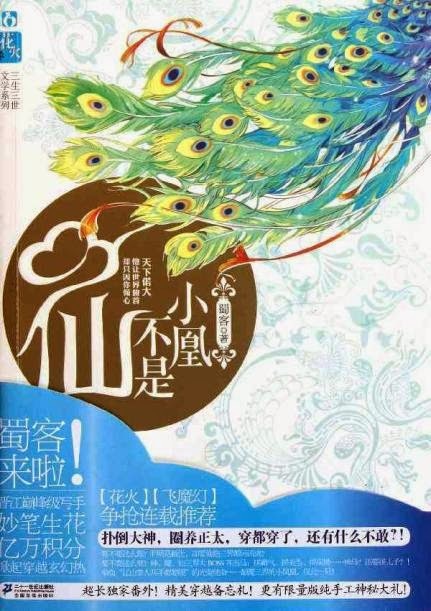 Unknowingly, she saved the Prince of the Realm of the Immortals He Yue Wei, and even experienced an unexpected blessing through a disaster, by eating the internal divine essence of the previous Phoenix God and gaining the form of a person. She thought her life was finally improving, and her relationship with the Phoenix King was deepening, but who knew that everything would change suddenly? I finished reading the raw. Great story. The main male lead is a tsundere...I'm not kidding. I'm not gonna put any spoilers out, but I'll just add that it's an happy ending. Amazing! It's funny and I love some of the characters, primarily MC, Luci, and that rabbit boy. I love it. Edit: To the reviewer saying the MC died in chapter two and there was no explanation why she was still alive in chapter 3 - the "dead" part was just hyperbole. Like when I say "I died and went to heaven." It doesn't mean that I literally died. It's just an expression. It's also clearly stated that she was injured and from the context you can clearly tell she never died. It's quite interesting and I'm definitely looking forward to next chapters. The quality of the translations are very good as well. It's an enjoyable read and the MC is quite interesting. The male MC is really drool-worthy and he has a good chemistry with the female MC imho. Was wondering if this was some type of reverse harem though, since there are so many good looking guys in this story, so I'm looking forward to see how it goes. EDIT: Still a fun read! I might have to jump ship after the recent chapters though. The interactions in this novel is quite refreshing! I really loved the story. Light-hearted and great translation of each chapter. I like the female lead's thinking; and of course lots of good-looking Gods! I love this novel so much. The interactions are very realistic, MC's character is has a very good mindset. Generally a very good novel to enjoy, very worthwhile. Still, this was a generally fun and light read so far, and the premise of the story isn't too bad but isn't anything too special in the reverse-harem+transmigration genre. However, the translation quality is good and makes reading the whole thing... more>> so far really fun and lighthearted, not to mention quite easy to understand and follow. The translator notes in the middle of the novels are either highly informative or hilarious, which I really appreciate! So yeah, I might pick this up in the future again but for now imma just withold it for another time. To be fair, I doubt that I really gave it a chance but, well... exactly three chapters in, I got totally confused. So phoenix MC dies two chapters in (no joke) but when chapter three comes along she is perfectly fine (no explanations given). I figured that I accidentally read ahead but indeed; I checked, I did not. Also, I think that there was a brand new set of characters introduced in chapter three that replaced those from chapters one and two. However, to be fair, I can never really tell with Chinese names. TL;DR It's a bit too confusing for my liking. Will probably pick it up again in a few months.